As you make your New Year’s resolutions for the new year, we at Pasco-Hernando Foot & Ankle would like to suggest some tips for improving foot health. Being proactive in the care of your feet isn’t hard or time-consuming. Below are 10 easy ways to prevent common foot disorders and improve your podiatric health. Get regular podiatric checkups. Our podiatrists, Dr. Lawrence J. Kales and Dr. Alexis Kreplick, will examine your feet and diagnose any developing foot problems. Checkups ensure that foot disorders are found in their early stages and chronic conditions are carefully monitored. Wash your feet every day with mild soap and warm water. Dry feet completely, paying particular attention to the area between the toes to help prevent athlete’s foot. Get your feet professionally measured. Did you know that your shoe size can increase as you get older? Many people are wearing shoes that are too small for their feet, which can result in deformities such as bunions and hammertoes. 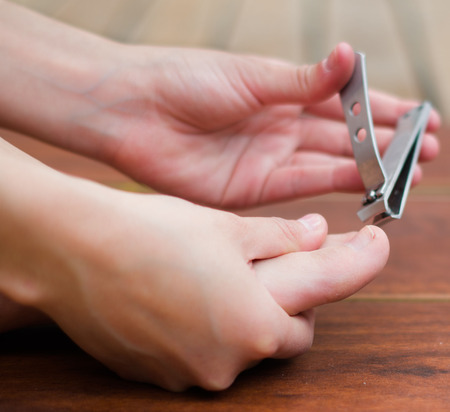 If toes are squeezed together you are at an increased risk for ingrown toenails. Keep feet dry. Fungi love moist, dark places. If your feet tend to sweat profusely, carry extra socks with you and change them as soon as you notice your feet feel damp. An anti-fungal powder can also help keep feet dry. Drink lots of water. This will help keep the skin of your feet moisturized and also prevent painful swelling of the feet and ankles. Keep feet covered. Wearing shoes or slippers even when you are home will help avoid cuts and puncture injuries as well as reduce the risk of athlete’s foot and warts. Use your orthotics. If the foot doctor has prescribed a custom orthotic device, be sure to wear it as often as possible. Orthotics are designed to correct foot position which can greatly reduce foot and heel pain. Take care of toenails. Keep nails trimmed straight across but not too short to avoid ingrown nails. Don’t share socks, shoes, towels, pedicure tools or any items that touch another person’s foot. This will lower your chances of getting fungal infections. Inspect your feet regularly. Report any changes in size or shape, bruises, swelling, loss of sensation or any other unusual symptoms promptly to the foot doctor. Contact our Spring Hill (352 683-5799) or Hudson (727-868-2128) office as soon as possible to schedule an appointment.